Μέσα στην επόμενη εβδομάδα θα είναι διαθέσιμο το Infinity’s Armory update στο Halo 5: Guardians για το Xbox One, το οποίο περιλαμβάνει νέους χάρτες (τόσο για το Arena όσο και για το Warzone Assault), όσο και νέες πανοπλίες και skin για τα όπλα. Επίσης, το update θα φέρει τη δυναμική επιστροφή του battle rifle από το Halo 2. New Arena Map: Riptide – Scarred by wars both ancient and new, the Created have judged this planet to be in need to significant remediation and remodeling. Players will need to quickly learn the winding routes of steel and sand to excel in the weathered structures of Riptide. New Warzone Assault Map: Urban – A dynamic combination of social engagement, reconstruction, and security operations was embarked on by the UNSC to disrupt nascent rebel movements, contain extremist politicians, and deny the Insurrection freedom of maneuver. Urban is one of Warzone Assault’s open maps with many sightlines. Halo 2 Battle Rifle – This Legendary weapon first made its appearance in Halo 2 and has now returned in Halo 5: Guardians as a Mythic loadout weapon REQ to deploy in Warzone. The Halo 2 Battle Rifle is also unlocked in Forge for those who want to recreate Halo 2 maps and take their nostalgia to the next level. 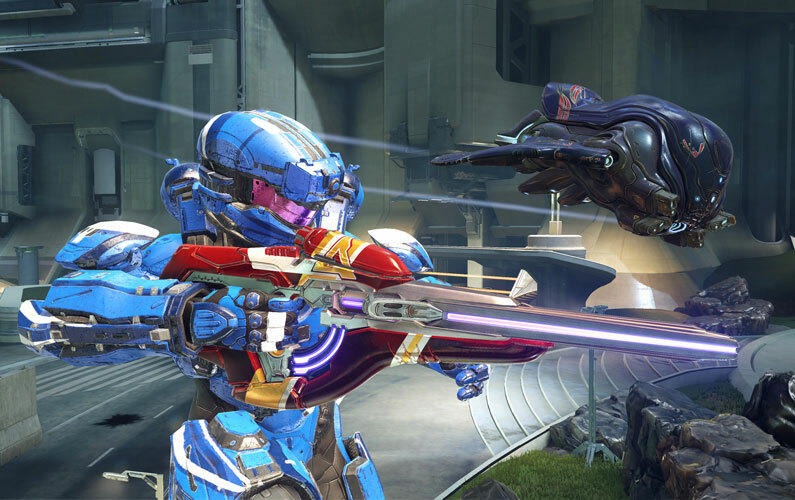 Upon release next week, Infinity’s Armory will automatically download and install for all Halo 5: Guardian players. For more details about all the new content included in the Infinity’s Armory update, please visit Halo Waypoint. Σκέψεις: Το τρίτο δωρεάν update, με αρκετό υλικό, συνεχίζει την υπόσχεση της 343 ότι θα ‘προσέξει’ τη σειρά, και θα βοηθήσει στο να διατηρηθεί το παιχνίδι φρέσκο. Σε άλλα νέα, Battle Rifle, welcome back.